Genuine OEM Brother 1230 Black Correctable Ribbon(s) are designed to work in the Brother AX Series, GX Series, Correctronic Series, EM-30, 31, 31-11, ML-100, 300, 500, SX-14, 16, 23, 4000 printer/copier(s). By buying Brother 1230 Correctable Ribbons from our ink and toner store we guarantee you the best quality you can get. We can assure you, you will receive your Brother 1230 at your location right on time, with no additional costs. 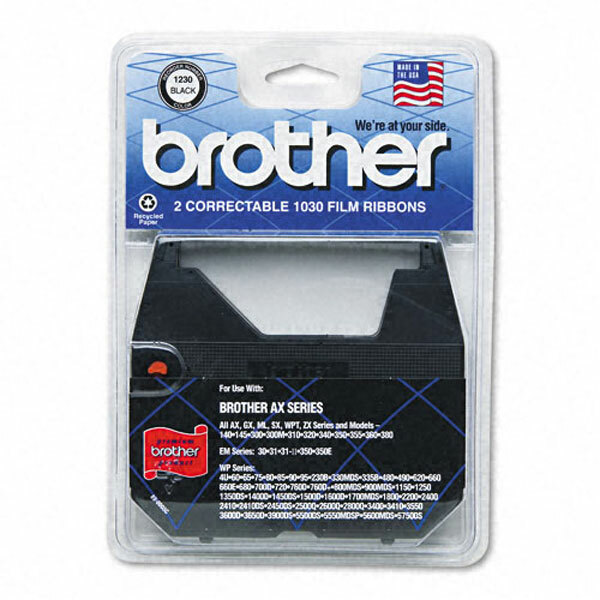 If you are not fully satisfied with the Brother 1230 Correctable Ribbons, you have purchased from our ink and toner store, we are ready to replace it with another Brother 1230 Correctable Ribbon.